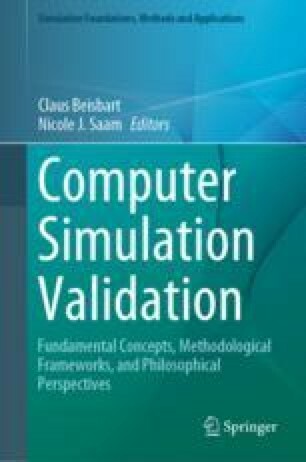 We present examples of validating components of an astrophysical simulation code. Problems of stellar astrophysics are multidimensional and involve physics acting on large ranges of length and time scales that are impossible to include in macroscopic models on present computational resources. Simulating these events thus necessitates the development of sub-grid-scale models and the capability to postprocess simulations with higher fidelity methods. We present an overview of the problem of validating astrophysical models and simulations illustrated with two examples. First, we present a study aimed at validating hydrodynamics with high energy density laboratory experiments probing shocks and fluid instabilities. Second, we present an effort at validating code modules for use in both macroscopic simulations of astrophysical events and for postprocessing Lagrangian tracer particles to calculate detailed abundances from thermonuclear reactions occurring during an event. This contribution was supported in part by the Department of Energy through grant DE-FG02-87ER40317 and the research described here was supported in part by earlier grant B341495 to the Center for Astrophysical Flashes at the University of Chicago. The software used in this work was in part developed by the DOE-supported ASC/Alliances Center for Astrophysical Thermonuclear Flashes at the University of Chicago. This research has made use of NASA’s Astrophysics Data System. The authors thank Eric Winsberg and Bruce Fryxell for helpful discussions about this manuscript. AMREX. (2018). https://amrex-codes.github.io/, freely available. Calder, A. C., et al. (2000). In Proceedings of Supercomputing 2000. http://sc2000.org.